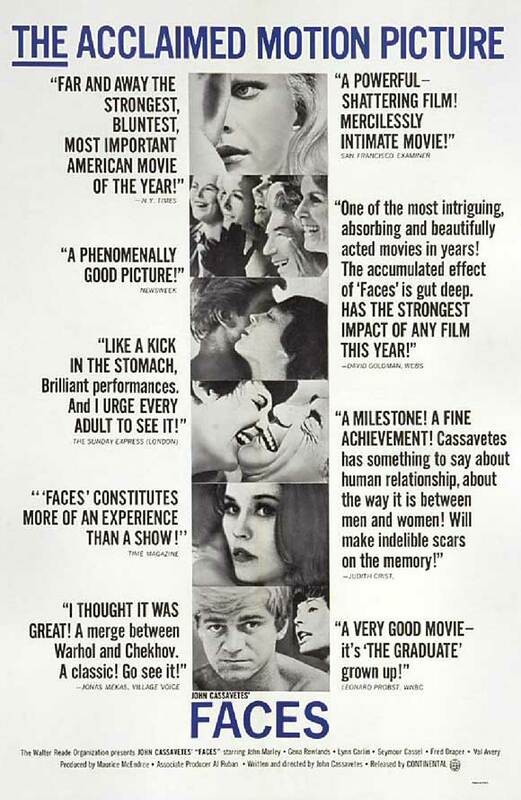 In his 1968 film Faces, John Cassavetes trains his camera on everything about ourselves that we don’t want other people to see. 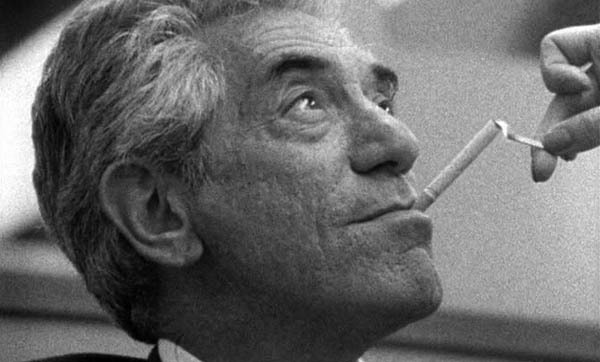 The film gets its name from Cassavetes’s bold aesthetic choice to use a hand-held documentary style that follows a character so intimately that his or her face fills the entire frame. This makes carefully scripted performances feel almost like an accident, like a series of vulnerable moments that by some miracle the camera happened to catch. And that is why I think we pay such close attention to these faces, because if we watch closely enough they might show us something we weren’t supposed to see. But let’s back up for a second. Who do these faces belong to? They belong to Richard Forst, a wealthy Hollywood studio executive and the numerous peers, adversaries and love interests that orbit his world. Much of the honesty Cassavetes brings to this world stems from the fact that he himself had just been kicked out of it. At the time that he was writing Faces one of the most powerful producers in Hollywood had just blacklisted Cassavetes for telling a story without enough commercial appeal. The studios rejected him with such a callous brutality that he had every right, according to our understanding of law, to find vengeance. Yet instead of making a film out of anger, out of a need to bring these parasitic and exploitative predators to justice, he made a film out of generous, grace-fueled curiosity. In his book John Cassavetes: The Adventure of Insecurity Ray Carney says that Cassavetes made Faces as a way to find out what he and these executives had in common. He based his story on what these executives share with himself: a strangling fear that if they slip up, if they let down their guard they will be rejected, a fear that keeps them performing and fleeing and binge drinking and trying with a reckless, vertiginous desperation to be carefree. Cassavetes’s commitment to stay with a character, most notably Richard Forst, while he flees from confrontation, refuses to communicate, and feeds on distraction can try the viewer’s patience as there is no redeeming turning point where Richard faces the consequence of his predatory behavior. Rather we watch the consequences of his actions unspool in silence in the two most captivating characters in the film, Jeanie the call girl Richard pursues and Maria the wife he leaves behind. What makes it impossible to look away from either woman is her eyes. With a rough and intimate lens, the camera finds Maria in the moment when no one else sees her and slowly pushes in on her face. Spellbound we watch as the magnified space from eyelid to chin becomes a landscape of longing and hurt. One of the most truthful moments I’ve seen in cinema is when Jeanie, worn from the constant work of looking happy and complete, finds a moment alone in the kitchen. The camera slowly moves in on her face as, she sings with characteristic gaiety. Only her voice starts to break, and something changes in her. A tear slides down her cheek and as the camera draws closer we realizes this is a different Jeanie. Even her face looks different. The camera moves in on her cheeks until our eyes are full of her eyes. And from under the thick of her lashes Jeanie lets us glimpse her inner world. And for a swollen second, we see the pain of everything that has betrayed her. And then Richard comes in the room, tail wagging, singing a nursery rhyme, waiting for her approval, utterly oblivious to her needs. And we watch her slip the mask of perfection back on and become the nameless girl with unending vitality. All the words I can think to string together can’t translate that performance onto paper. -James Baldwin, The Fire Next Time. That scene! And that closing quote! Holy smokes! Thanks for this, Charlotte, made my day.